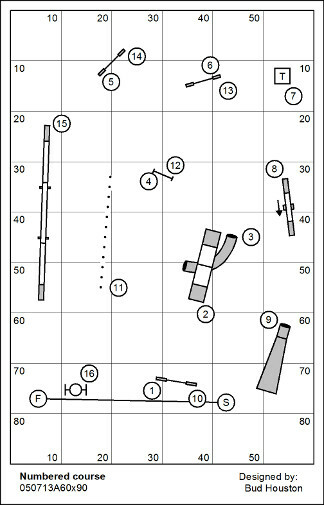 Today we are opening two new numbered courses and a wicked fun distance/jumping game. These events will close at the end of June. Numbered courses are always scored: Time, Plus Faults. This is a simple numbered course. 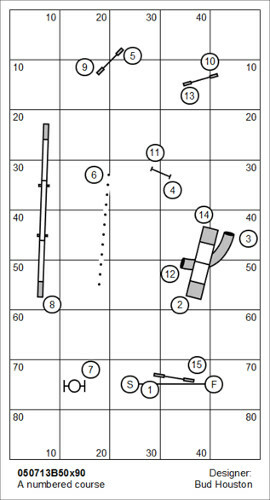 If the handler can run the entire course without ever stepping inside the red box, 15 bonus points will be earned. 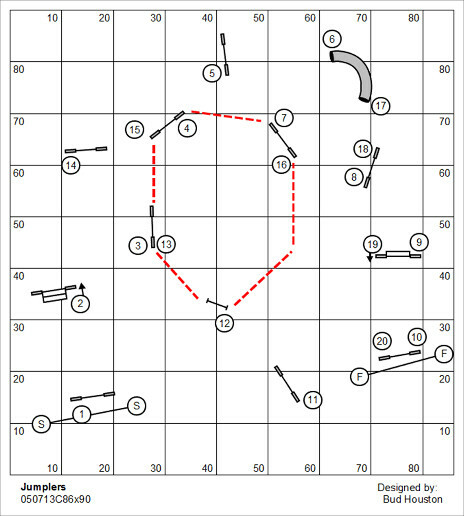 If the handler can run the entire course without ever leaving the red box, 25 bonus points will be earned. Jumplers is scored: Time, Plus Faults, Less Bonus. We’ve posted several new events, three numbered courses and one game. Under “Pages” in the column to the right (in the screen you are looking at) click on “Current League Courses” for pictures and links to download! I’ve been a little late getting these late. Right now I have a lot of chores!